Click to see how my clients rate my service. Feel free to request a comprehensive list of my past client references and see why hundreds of people have hired Al Block as their Realtor®. 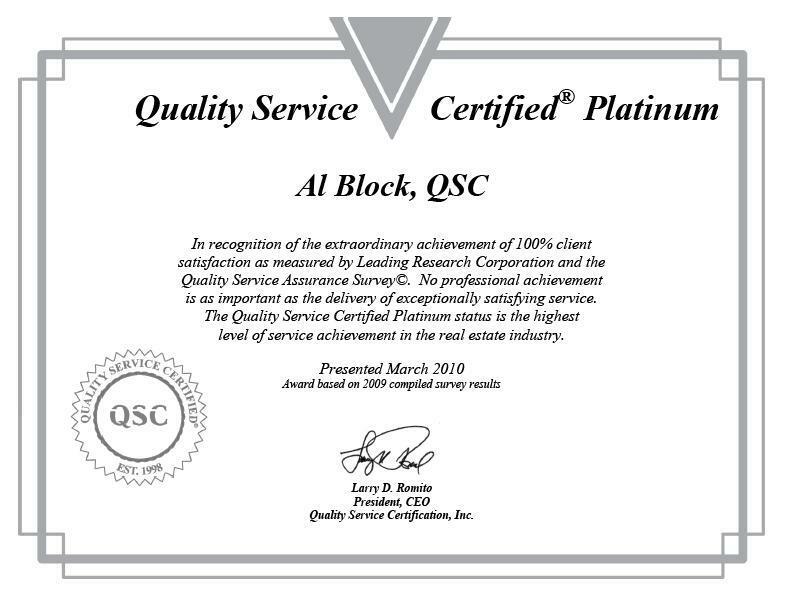 It is once again my pleasure to recognize your exceptional client satisfaction record by awarding you Quality Service Certification’s Platinum status. Survey results, compiled and validated by Leading Research Corporation for the year 2010, reflect 100% client satisfaction with the overall service you provided. Attached is a Certificate, reflecting your achievement, that you may print and display, and a personalized Press Release that can be customized. We suggest that you forward a copy of the release to local, state and national media organizations. Forward one copy to your manager and/or broker so that he or she will have the opportunity to congratulate you and recognize your achievement of maintaining exceptional client satisfaction. 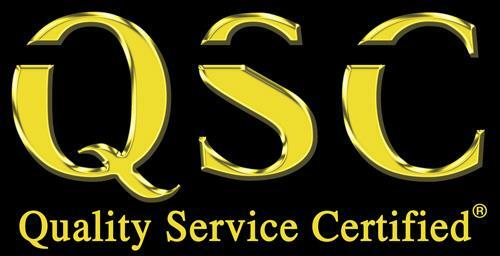 Remember that your award status is part of your credentials at QualityService.org, the consumer and agent referral website. We hope that you are fully utilizing the QSC resources, which provide the strategic benefits of differentiation, competitive advantage and commission protection. If you would like to maximize your use of these tools and materials, call our Customer Service team at 888-547-4772 for help. Congratulations on maintaining your status among a select group of agents in North America who deliver outstanding service satisfaction.